Remember “Seeker Services?” They were all the rage when I was in seminary. The idea was to invite people to a church experience that they would recognize from their everyday lives, going to movies, concerts, or shopping malls. Everything was done to make it easy to go to church. Easy parking, even valet service for guests. No specialized language. No offerings. No Communion. Instead people experienced video clips, drama, short sermons, loud band music, sometimes even smoke and lights to add to the experience. Churches began to resemble the theater experience, where you enter through the food court, then go into a darkened, comfy-seated, auditorium to watch what was rolling before your eyes. The idea was that many people who were unfamiliar with church, were actually seeking God. But that church had become too much of a hurdle for them to approach. There are still plenty of seeker services out there. And the work they do is not without merit. But today, with these parables in the room, I think they get one big thing wrong. God is the seeker, not us. God will go out in the wilderness. God will light a lamp and search all night. God doesn’t give up. God goes out to find, rather than waiting for seekers to come. God is a seeker. Notice the complaint of the religious community: Jesus welcomes sinners and eats with them! And, this wasn’t just the “we are all sinners” kind of sinners. The Pharisees and Scribes are referring to people whose pattern of sinning is so habitual, even second nature, that the whole community knows of it. Jesus is welcoming the local untouchables and ne’er-do-wells, the moral disgraces and public outcasts. Similarly, by “righteous” Luke doesn’t mean those who are either perfect or self-righteous, but those who actually and actively try to live up to the law. Sort of like us. But here, Jesus is outside of all that. Not at synagogue. Not hanging out with “our kind.” Instead he is going to parties and feasts with outsiders — welcoming, accepting, and befriending those who don’t seem to care, those who are not seekers. But God is seeking them, unbeknownst to them. Jesus tells three stories in this chapter (we will only look at the first two). All are about God the seeker. I have been looking at our Scriptures for Lent from a different perspective this year. Lent is usually a time when we focus on what we need to do to be pleasing to ourselves and God. What do we need to purify in order to be ready for the new life, the resurrection? So we give up things which are bad habits. Or we take on a practice which will open our hearts to light. All good things, and I encourage you to continue these practices. But the passages we get from Luke this year are not about what we can do to become more pleasing to God. Instead, God is the includer, the welcomer, the embracer, the lover, the seeker. Think about these two stories. A sheep gets lost. Sheep are pretty famous for not paying attention to where they are. They just keep their noses down to the grass and follow it, even if the grass leads them into a tumble in a gully. Let’s just say, they are not seeking the shepherd. The poor lost sheep may not have even known it was lost. But the shepherd went after it. A coin gets lost. The coin is an inanimate object. Clearly, it was not the seeker. The seeker in each of these stories is the God-figure: the shepherd, the woman with a broom. Jesus likes to make the ordinary folk the hero of the stories he tells. Have you ever thought about why that is? I wonder if Jesus is making a connection with the people at the party by making them the heroes. They are listening, overhearing, maybe even laughing a little, over Jesus’ shoulder as he addresses the religious folks. The ordinary folks, with whom he was eating, could readily recognize themselves and their lives in the shepherd and the woman with the dirt floor, for whom a tiny silver coin meant food for another day. We are not the seekers. God is. God seeks, even those who don’t seem to matter. This was the sticking point for the Pharisees and the scribes. They thought they knew who mattered and who did not. It was outlined in the Law, which they knew well. They were sure about what had been handed down to them. But, Jesus was taking time with people who don’t matter to them, or to the Law. Then these stories crazier. In the first case, a shepherd searches for a lost sheep. Natural enough, we think, as that’s the shepherd’s job. But to do it he puts 99 sheep at risk, leaving them in the wilderness with no protection, to seek out one that was lost. And when he finds the lost sheep, he hustles the whole flock home and calls his friends and neighbors to join in a celebration. He may have even roasted a lamb for the event. Normal, ordinary? Hardly! In the second case, a woman who loses a tenth of her wealth lights her lamp and sweeps all night searching for the coin. Makes sense to me. But then, when she finds it, she also calls together her neighbors and invites them to celebrate which, likely, meant that she provided food and drink and perhaps spent on this celebration as much as she recovered from her search. Normal, ordinary? Hardly! The reaction of the shepherd and the woman are all out of proportion! Jesus repeats twice that there will be more joy in heaven over one sinner who repents than a room full of righteous ones who have no need to repent. Now, here it gets kind of personal. I have gone to church my whole life, same as many of you. I have tried to live a life of faithfulness to God, I have tried to learn to pray and connect with God. I have had moments when I have felt held by the holy one, and that I belonged. Yet there will be more joy in heaven over one sinner who repents than over a room full of people like me. 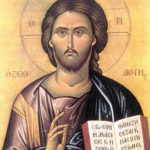 That is not to say that I am not a sinner who needs to repent, but just that I am in the same category as the Pharisees, Scribes and religious people to whom Jesus is telling these stories. We can be so self-absorbed! What is in it for me? What about MY reward? What about MY welcome? Why not celebrate every good choice I make? Jesus isn’t saying that the heavens don’t rejoice over me. Zephaniah reminds God’s people: “God will rejoice over you with gladness, the Lord will renew you in holy love; God will exult over you with loud singing” (Zephaniah 3:17). God gave the people a whole land from which to eat and celebrate after Egypt. So, even these religious leaders, the Scribes, the Pharisees, the Presbyterians, are celebrated with singing and dancing. But there is nothing like it when one who is lost is found! Nothing! Have you ever lost track of your child in a crowd? I remember the frantic searching when my preschool-aged little brother got lost in the Capitol building in Sacramento. And I didn’t even like my little brother very much! But the fear in my parents was in me too. And when he was led down the steps, Mom holding his hand, there was such huge relief! We all got ice cream! And he was the star of the day. My parents didn’t love the rest of us less. But we wouldn’t have gotten ice cream if he had not been lost and then found. These stories aren’t about a lost sheep or lost coin, not really. They’re about a shepherd who risks everything to go look, and about a woman who sweeps all night long to find. These stories are about a God who will always go looking for God’s lost children, even more fervently than we went looking for my brother. We have called ourselves a “bridge-building congregation.” It is right up there on the wall in the lobby. It means, we are seekers. We want to be like God, seeking out connections, with anyone who has lost their connection with God. It means we are going to hang out sometimes with people who are not like us. Maybe even with people we don’t particularly like. It means that our place will be used for parties and will be loud and messy sometimes, just to give one little child a moment of pure joy, losing herself in music and finding a connection with God, whether she knows it or not. Joy is where God is. And filling this space with music and song for the dancing of the little children – well, it doesn’t get much better than this. Is it annoying that they spill things, scatter the pew envelopes and leave socks and mittens behind? Yes. But you know what? I don’t find it annoying at all to clean up after a party. I do it with a smile still on my face. It is a task I do with love. Its like it seals the memory for me. So may I think of the tidying after the children. Think of the strangers who meet us here every day. Hundreds of people come here to work on recovering their life after addiction or disaster. They come here to find healers among our Parish House Partners. And what shall we say about all those who create and celebrate art here? Or those who walk the labyrinth in the backyard to reconnect with the center? Or what about the grand divine celebration about to break forth from the Mt. Fuji Flowering Cherry trees in the back yard? These are days of connecting our stories and finding that we have so much in common. Days of becoming family. And the truth is that these days are around us everywhere and at every moment. Who will you find? Your cat? Your son or daughter, sister, cousin, aunt? Do you feel joy when you walk out of a chance meeting in the grocery store knowing that it brought a smile to your face and to the other? Celebrate! You found someone! Is your step lighter after the Sunday passing the peace and someone said just the right thing? Celebrate! You found someone! Do the angels sing when you notice someone who needs help and you offer it? Celebrate! You found someone! Who will you find next?